Started in 2010 by Randy Brown. Lagniappe has since grown to include the talents of Bryant Winberry and Brandy Robert. Randy has developed business relationships with several nationally known professional antique appraisers who are always available. Also during the eight years Lagniappe has been conducting sales a list of 3,000 potential customers has been created. This extended force of knowledge of antiques and managed customer base gives Lagniappe an advantage when called to handle some of the largest and most unique estates in the area. To date Lagniappe has conducted some truly outstanding Estate Sales. These sales have earned us a reputation for being above the normal. It seems fitting since the very word "Lagniappe" is French meaning a little something extra. We focus on serving the estate sale needs of our clients with integrity, honesty, and expediency. We prepare, staff and conduct on site estate sales when possible, off site when necessary and buyouts when needed. Through diligent research and extensive contacts our goal is to maximize the value of each item. Placing your item with the proper buyer or auction utilizing internet marketing as well as print media. Not to mention word of mouth our most valuable asset. Whatever you require. Whether your estate is multiple house or a small town home. Lagniappe has the staff and ability to handle whatever you and your family needs. Mid-Century to Present. Everything Must Go..Including This Great 50's Style House!!! On Leo With Lots of Loot!!! Coushatta, It"s Worth The Trip! It really is an easy drive! 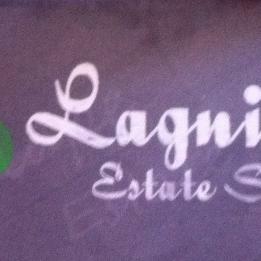 Lagniappe on Bistineau !!! Come for the deals - Stay for the sunset !!!! The Quad - Four families with possessions.....they want to sell! 75% off. For two and one half hours, tomorrow, Sunday. 12:30 - 3:00.The more you buy, the more you save. New pictures added. Antique - Vintage - Modern Great furniture and accessories from all decades of design. Where Is Waldo? Shopping with Lagniappe of course. Celebrations on Camelback. Christmas, Easter, Mardi Gras or Halloween, this estate is full of items that make any celebration memorable. Two great sales in Greenwood, "The Gateway to Louisiana"! Good Pickings in Apple Tree!!! A Rotund Residence of Righteously Represented Riches on Rhett Circle. In short we got a lot and lot of old tools and collectibles. Not to mention the mid century decor,. The online sale has been terminated.